Today in MTC New York I provided workshop “Always On: Mission Critical Performance” dedicated to some new features of SQL Server 2016. (And this time SQL Server AlwaysOn technology actually was covered, but it was only fraction of the whole content 😉 ). 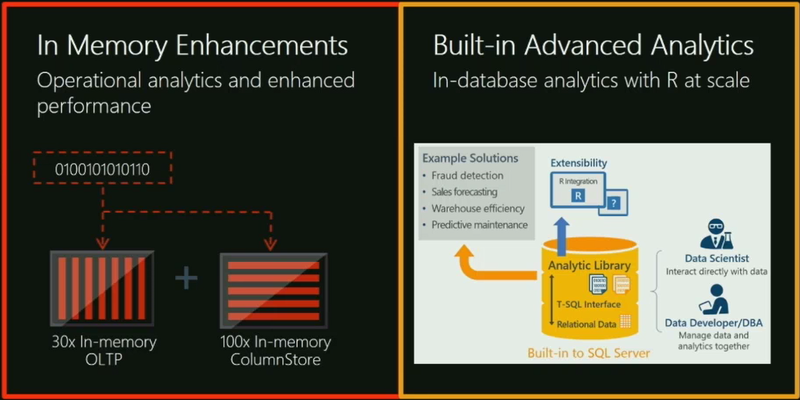 Additional materials are available on the official site of SQL Server 2016. You may also try Virtual Labs. (Please, filter by “SQL Server 2016”). Watch recordings of keynote and session previews of Microsoft Machine Learning & Data Science Summit 2016 on the latest Big Data, Machine Learning, Artificial Intelligence, and Open Source techniques and technologies. Combination of in-memory technologies and in-database analytics with R at scale using SQL Server 2016 can make 1 million fraud predictions per second. U-SQL in combination with Cognitive APIs and Azure ML can significantly extend datasets to make possible to analyze large volumes of images (different objects and complexity) and text (subjects, key phrases, sentiments, story). 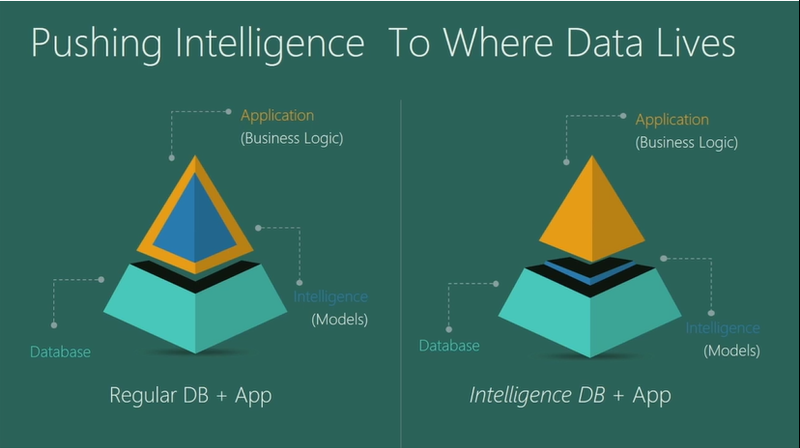 In future Azure Data Lake Analytics will support Hive and Spark. 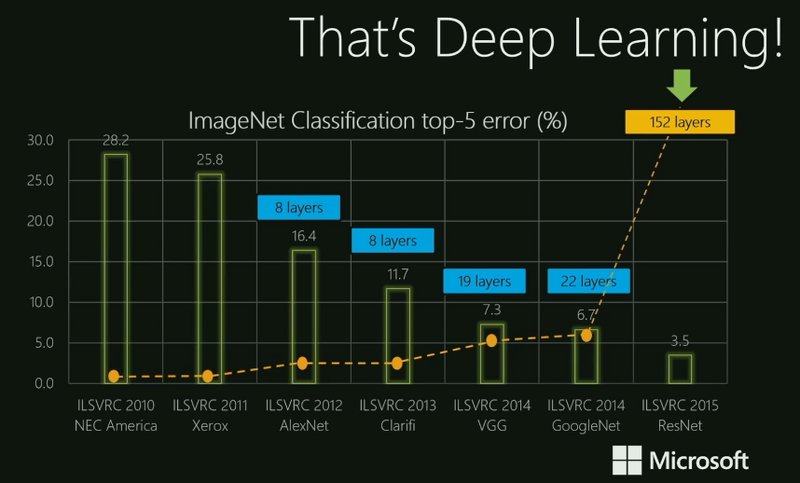 Microsoft ResNet (solutions for Deep Learning) is built using 152 neural network layers. Azure N-series Virtual Machines with GPUs to be used for Deep Learning are available in preview. For example, Tesla K80 delivers 4992 CUDA cores with a dual GPU design, up to 2.91 Teraflops of double-precision and up to 8.93 Teraflops of single-precision performance. Student Drop-Out Prediction Service in Indian schools uses Azure ML. PROS used Azure and R in SQL Server for airlines to recommend prices in milliseconds. For another customer they moved R-based solution to SQL Server 2016 to generate renewals automatically “faster in a factor of a hundred”. Dyxia used combination of Microsoft Band, MS Health application, Azure IoT Hub, Stream Analytics, Power BI, Machine Learning and other services to monitor and predict anxiety of children with autism. eSmart Systems created Connected Drone solution combining drones with Deep Learning in Azure to automate inspections of power lines. CrowdFlower use crowd sourcing (Human-in-the-Loop) to train machine learning models for non-confident predictions. Below there are some screenshots from the keynote.